The Glenn Beck Review: Does Glenn Beck influence the his followers or vice-versa? Does Glenn Beck influence the his followers or vice-versa? There can be little doubt that Glenn Beck influenced millions while on his Fox stage and continues to do so to those who listen to his program on the radio, or is there? NPR host Brooke Gladstone has written a book on the influence of the media entitled The Influencing Machine, and she takes a different perspective on the media than many people. Reactionary crank, Alex Jones (of Infowars), for one clearly has different ideas about his influence as a member of the media. Gladstone's theory is interesting, but is it accurate? Is the media "really a mirror?" There is no doubt that some of Beck's reactionary (far-right) viewers believed that President Obama was a racist even before Beck made that infamous claim on Fox and Friends, for example; but when Beck made that pronouncement, it opened that possibility for Fox viewers who were inclined to believe the very worst about President Obama, even if it was an absurd notion to at least one person in the room and around the country to those who can plainly see otherwise. It solidified the fears of actual, white racists and instilled the idea in people on the right who had not considered that possibility before the race-baiting Beck articulated the idea. Alex Jones influences Glenn Beck? Making sense is not her forte, but her reactionary bias makes her susceptible to Beck's propaganda. The sheer absurdity of her comment reflects Beck's rhetoric, tone and style. Beck's lack of education in economics doesn't seem to register with jnjrsnap. Beck's cult followers seem to have no understanding of demand side, Keynesian economics. Beck and the rest of Fox has programmed/brainwashed them to believe this false idea that the government cannot create jobs with contracts, and that's the point of this post. The persuasive and manipulative Glenn Beck and the right-wing most certainly influences his viewers with misinformation! In part, she is right. Media is a mirror. Rush Limbaugh exists because he gives voice to what members of his audience wants said. Clearly, media narrowcasts: reinforcing the prejudices and assumptions of its audience. But it also disseminates lies and propaganda. It tries to change public opinion largely to convince people that we are powerless to do anything about what is happening in the world and we should focus only on private matters. It is part of a media onslaught against democratic participation. What about this Review? This small blog, which resides in a corner of the Internet publishing essays, both original and from other critics of Mr. Beck, exists to convey to people trying to find out more about him what he's really about. If Ms. Gladstone is correct, this effort, these 350 + blog posts have influenced nobody, and this Review is not much more than a reflection of people who have already made up their mind about Mr. Beck's dishonesty, his integrity issues and/or his political values. What about "liberal bias" in the media? What about her claim that there is not a liberal bias in the media? Beck makes that case when he baselessly claims that mainstream media is in bed with Obama, but he is not the only one making that argument. The right-wing media watch dogs, Media Research Center, exists to show that the media has a liberal bias. As pointed out previously, they don't care that Fox has a reactionary/conservative bias, or that many false claims are made on the channel of propaganda. MRC only cares about perceived bias that the conservatives there do not agree with. They did not appreciate people in the media pointing out that the Tea Party was either willing to destroy the economy or ignorant of what not extending the debt ceiling limit would do to the good faith and credit of the United States. By any standard of analysis, except from the far right where the Tea Party exists, the Tea Party is extremist and irresponsible. Was it "liberal bias" to have people in the media like Bob Schieffer on Face the Nation asking if "the freshman class over in the House – understand just how serious this debt limit crisis is?...Do you think they understand what might happen if you can’t raise this debt limit here,” or was that responsible journalism? The MRC certainly believe that the former is the case, but that actually conveys more about their bias than it does about the bias of the reporters asking these kinds of questions. For any radical, the bias in the corporate (mainstream) media is conservative, a bias to support the status-quo of corporate capitalism and state sovereignty. To have reactionaries at the MRC claim that there is a liberal bias is the mirror reflection of the radical perception of a conservative bias. It demonstrates the previous theory made here that the truth of a situation, bias in the media in this case, is a matter of who is perceiving the facts. More precisely, what are the values of the individuals perceiving the media? Libertarians will perceive a liberal bias in news coverage where Marxists will see a conservative bias in the same news story. According to the theory of truth presented here, both are correct from their respective perspectives. The MRC often criticizes MSNBC's Chris Matthews, but that's absurd. MSNBC is a liberal news channel. It is supposed to have a liberal bias. Criticizing people on MSNBC for their liberal bias is akin to bitching about the roundness of the full moon! They also criticize NBC's Nightly News and Brian Williams quite often, but they never mention the segment frequently seen on that broadcast called "Making a Difference." This portion of the newscast highlights individual efforts, not collective efforts, of people giving of their own time and money, not government funds, to help others people in some manner. This is a segment that President Reagan could have embraced to support his call for massive volunteerism. From a radical or progressive perspective, that makes NBC pretty conservative; but you would not know this reading the MRC newsletters or blog posts. Does the media influence the public? Certainly; some of it does. Does the media reflect the public's views? That's true too. That's why conservatives watch Fox and liberals watch MSNBC. People want their biases confirmed. Imaginative propagandists like Glenn Beck -- especially Glenn Beck -- and Alex Jones plant ideas in their listener's minds, ideas that are oft-times complete nonsense. Glenn Beck's fictions served as the impetus to The Review, not his bias, ignorant genius for anti-progressive propaganda or reactionary values. 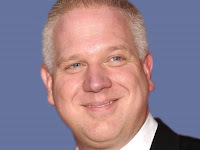 One question that can only be answered in a comment below by you, the reader, is whether this effort influenced anyone trying to learn more about Glenn Beck, or does this blog merely reinforce pre-established positions regarding Mr. Beck?